2.5D Ray Casting in web assembly with some light and fog. This article was co-authored by Thomas Kjeldsen. 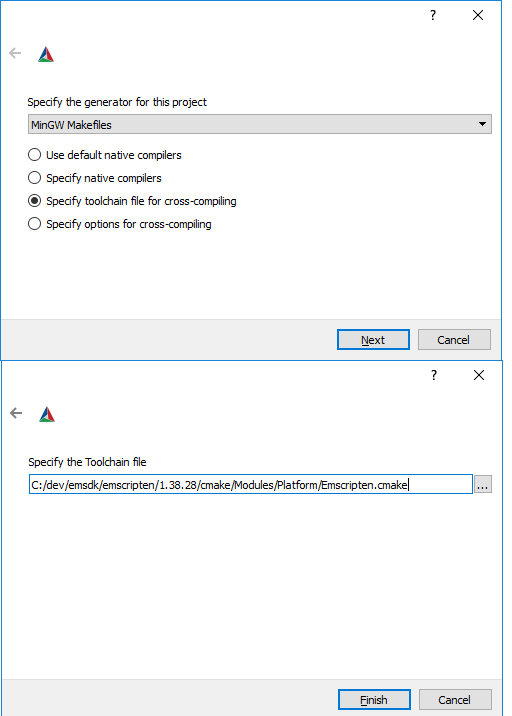 As a C++ programmer it is very compelling to write your code and test it nativly and using Emscripten you can publish and use your code directly on the web. The scene is a 2d array of integer, that determine if there is a wall, light or empty space. 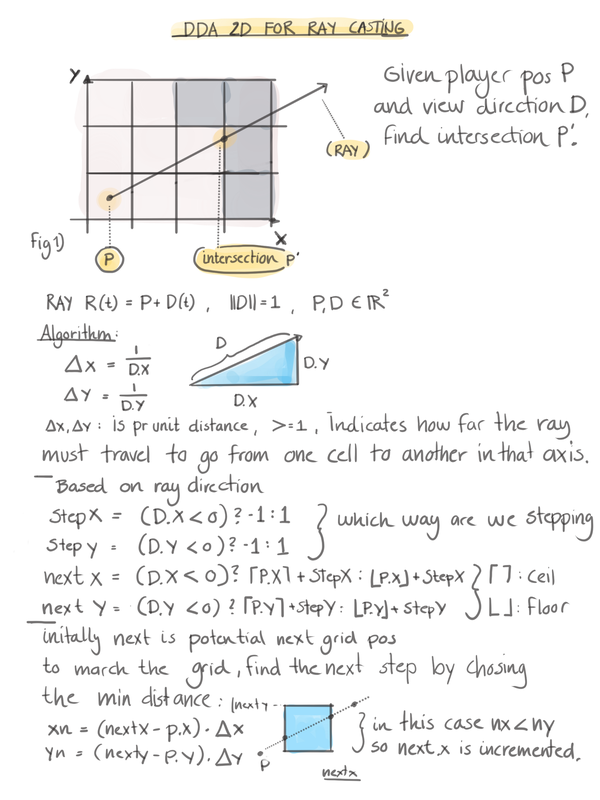 This is done by tracing a 2d ray inside the scene using a DDA algorithm (explained below) that step through each grid cell and find the distance to an intersected wall. Pretty simple right? 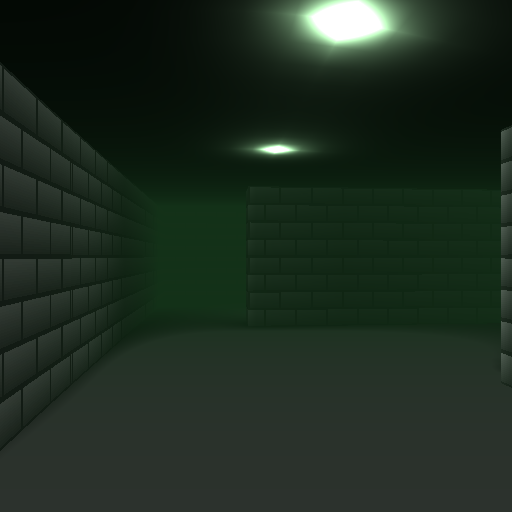 Ok with the depth for each pixel collumn ready then we need to calculate the pixelheight of the wall and the 3D depth. This is based on the camera field of view and the image dimension. In the demo i added some linear fog calculations. And the input to the fog is the depth from the camera. To make this consistent i calculate a ray traced wall, ceiling and floor depth. But that will be explained in the next episode. (Advanced lighting in ray casting).